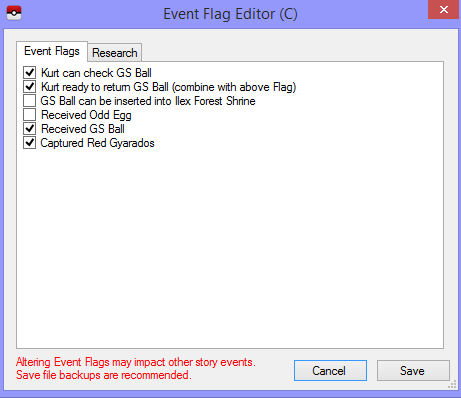 Hello, i was wondering if there's a way to get VC Celebi on emulator, i tried to dump the VC Rom and got it working but after beating the league i didn't get the event on goldenrod poke center, it looks like that the patch for the GS Ball is not already injected on the rom but on one of the files of the game, is there a way to inject the event and make it work exactly as the VC version? The VC core rom is the same as the cartridge version, with the key reason being the patches were bundled with the rom. thing is, most emulators can only run the core rom, and not the patches. it's tedious, it's not worth the effort, especially when it does the same thing when players use a cheat code. The event is exactly the same. As I said, the event was already preprogrammed, so all the patch or cheat code did was activate the event. 4. Bring ball to shrine encounter Celebi. I'm aware that there's a code that skips to step 3, which might be the one you have in mind. I'm pretty sure a code starting from step 1 exists, just google it. Anyway that's that. If anyone is interested in humoring this request, PM me to unlock this thread.